Last week, Princess Cruises announced that it would be sending five ships to Europe in 2020, of which three will be based in the UK. Meanwhile, feedback from Cruise Critic passengers has put three Canadian ports in the top five in the US and Canada, as Quebec City has been joined by Halifax and Vancouver. And we look at how to travel Round the World in 83 days in a cargo ship. Princess Cruises will deploy its largest fleet of ships to Europe in 2020 – five ships, of which three will be based in the UK. The 1,974-berth Island Princess, 3,114-berth Crown Princess and 3,560-berth Regal Princess will be based in Southampton throughout the summer of 2020, offering a 30% increase in the number of cruise nights offered in 2019. 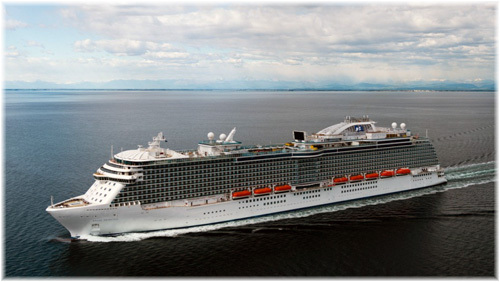 Princess also announced that its newest ship, the 3,660-berth Enchanted Princess, will be christened in Southampton in June 2020 before she heads to the Mediterranean for the summer. The last time a Princess ship was christened there was Royal Princess in 2013. This will be the biggest ever European deployment for Princess, with a 15% European capacity increase from 2019 to 2020, and a 30% increase from the UK, with the largest ex-UK capacity ever. The Island Princess, new to the UK, will offer a number of exploration-style cruises to the Norwegian fjords, sailings to the Baltic, a 16-night cruise with calls in Iceland, Greenland and Spitsbergen and two 12-night Northern Lights cruises. The ship will also cross the Atlantic, calling at Iceland and Greenland and the east coast of Canada before calling at New York and then returning to the UK. The fifth ship in Europe will be the 3,660-berth Sky Princess, which will debut in October 2019. The new ship will based in Copenhagen and offer Scandinavia and Russia cruises. 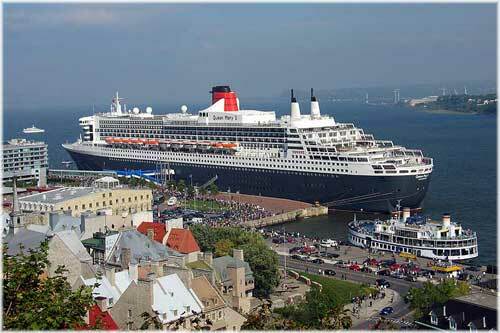 Quebec City has been for several years now the most popular port on the east coast of North America, so much so that many ships, including the Queen Mary 2, make Quebec City an overnight call. And other new cruise ports such as Baie Comeau, Sept Iles, les Iles de la Madeleine and Gaspé have been able to establish themselves as new cruise ports. Meanwhile, on Canada’s west coast, Vancouver has been attracting a wide range of cruise lines and passengers from around the world at its Canada Place cruise terminal. Recently, the Vancouver Fraser Port Authority announced that Vancouver has been recognized as one of the top-rated cruise destinations in the 2018 Cruise Critic Cruisers’ Choice Destination Awards. Winners are chosen based on consumer ratings and reviews posted by passengers to the Cruise Critic website. Halifax’s cruise season this year does not close until November, which is a very long extension on what used to be a summer market. Phileas Fogg was the famous Jules Verne characer who cicumnavigate the world in 80 days. 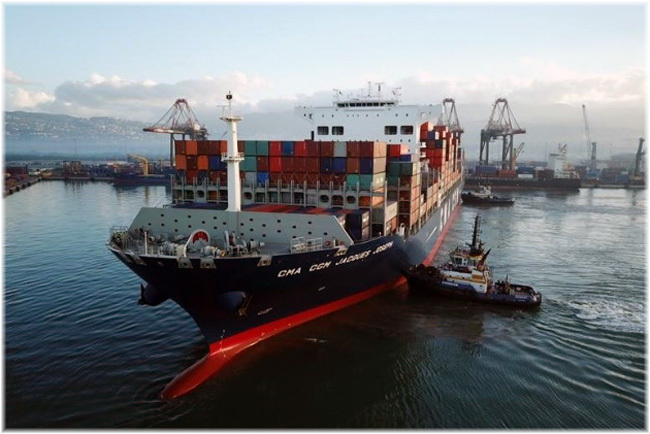 And now, CMA CGM has extended the duration of its PEX 2 and PEX 3 Round-the-World services from 77 days to 83 days. PEX 2 features two 8-berth ships, the CMA CGM Jacques Joseph and CMA CGM Lisa Marie, sailing via Mexico and the Caribbean. PEX 3 offers five ships sailing via the US Gulf and Florida. In the PEX 3 service, the CMA CGM Cendrillon and CMA CGM La Scala are 7-berth ships and the CMA CGM Lamartine and CMA CGM Maupassant offer 6 berths while the APL Scotland carries one passenger only. Since the Rickmers Round-the-World passenger service ended in 2011, CMA CGM has been the only line to offer a full circumnavigation by cargo ship. The five-ship PEX 3 service embarks passengers at Houston, Mobile, New Orleans, Miami and Jacksonville before sailing for Singapore and Hong Kong, then three Chinese calls at Shekou, Ningbo and Shanghai before returning to Houston via Pusan. The two PEX 2 ships pick up passengers in Ensenada and Manzanillo, Mexico, Balboa and Punta Manzanillo, Panama, and Cartagena, Kingston and Caucedo in the Caribbean before sailing to Singapore, Shekou, Hong Kong, Kaohsiung, Ningbo, Shangai, Qingdao and Pusan and crossing the Pacific back to Mexico. The Mexican Port of Ensenada is also close enough to San Diego that it is useful for US passengers. Fares on both Round-the-World services are €130 per person per day double or €150 per day for a single traveller, with port costs and deviation insurance included. In addition, there is a booking fee of €70 and a management fee of €45 per person. Special reduced fares ara available for the full round voyage at €7,700 per person in double occupancy and €9,000 for a single passenger, about a 28% reduction below the full fare at the usual daily rate.